Bender UK has an existing agreement with Merivaara to supply the award-winning Q Flow Surgical Lights. This new addition reinforces Bender UK’s position as a leading supplier of turnkey operating theatre solutions and critical care power for Group 2 medical locations. Ulverston-based Bender UK has signed an exclusive distributor agreement with Merivaara of Finland to supply operating tables to hospitals and healthcare facilities in the UK and the Republic Ireland. Bender UK has an existing agreement with Merivaara to supply the award-winning Q‑Flow Surgical Lights. This new addition reinforces Bender UK’s position as a leading supplier of turnkey operating theatre solutions and critical care power for Group 2 medical locations. The Merivaara Practico and Promerix Operating electro-mechanical mobile tables are a natural fit to complement Bender UK’s turnkey healthcare offer combining patient comfort with practical flexibility. A wide variety of configurations and accessories enable fast and easy set-up for different surgical procedures. The tables offer up to one-week battery life between charges and incorporate an integrated charger/transformer, enabling optional main power use. 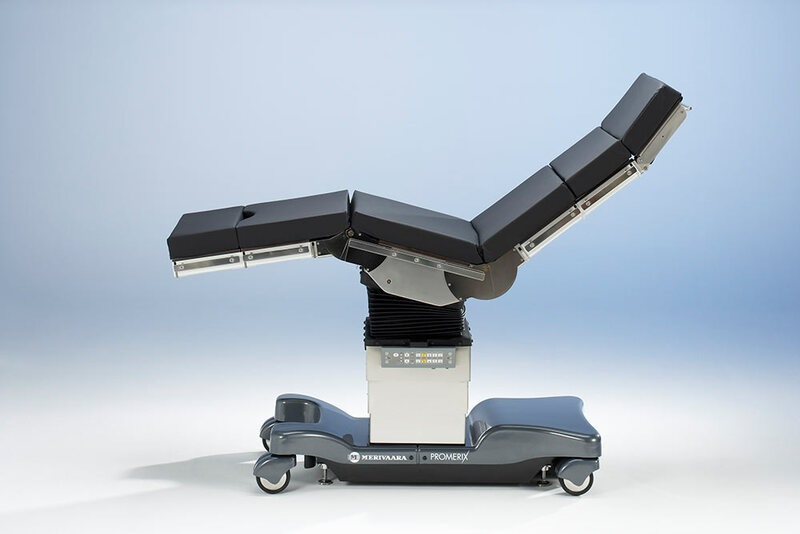 The UK market has over one hundred Merivaara operating tables installed and Bender UK can now offer new and existing customers a fully comprehensive maintenance package as part of their service operation currently supporting more than 400 hospitals. A Merivaara table is the centre-piece of the new operating theatre equipment demonstration area created at the Ulverston head office to enable clinical staff to get hands-on experience of the equipment. The theatre also includes Merivaara Q-Flow surgical lights, Bender clinical pendants supplying gases, power and data in the theatre, and theatre control panels. “Securing the exclusive distribution rights for the Merivaara Operating Table range in the UK and the Republic of Ireland presents an exciting opportunity for Bender UK. I had the pleasure of working with the Merivaara Practico and Promerix in a previous role and found the products to be well received in NHS and Private Hospitals. The Promerix table is ideal for multi-disciplined operating theatres, utilising the one table for all types of surgery. The Practico table is perfect for day surgery theatres, shoulder surgery and orthopaedics, utilising its wide height adjustment range and factory fitted shoulder section”. Merivaara has nearly 120 years’ experience in the healthcare market and in combination with Bender’s knowledge and expertise of critical operating theatre environments, makes this an excellent partnership of the two companies.